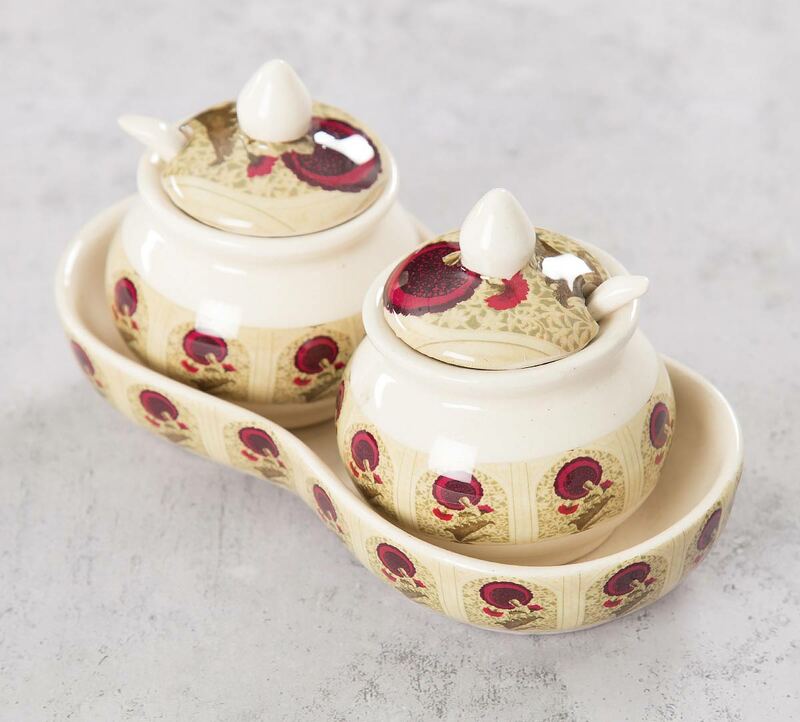 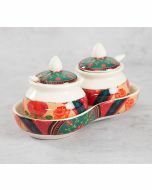 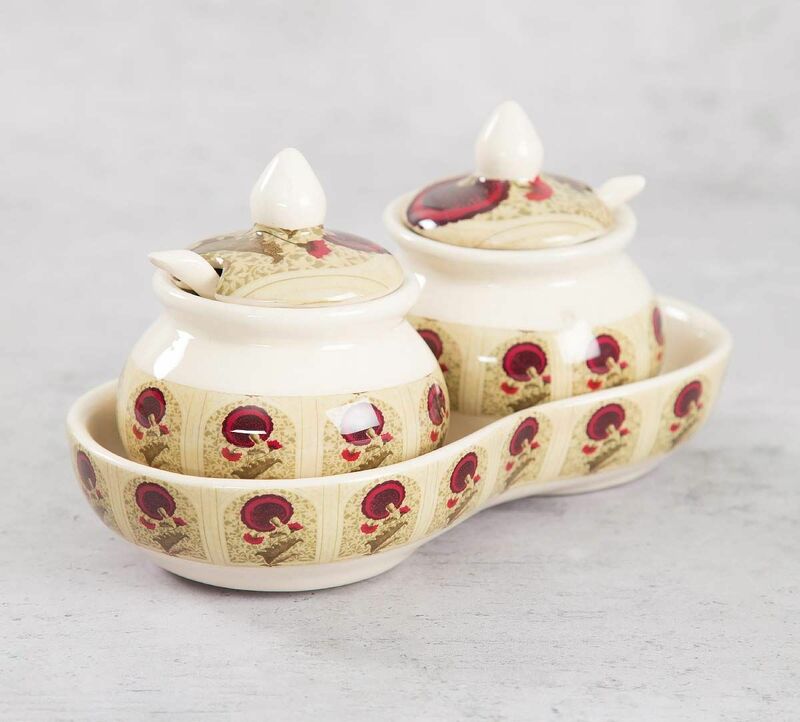 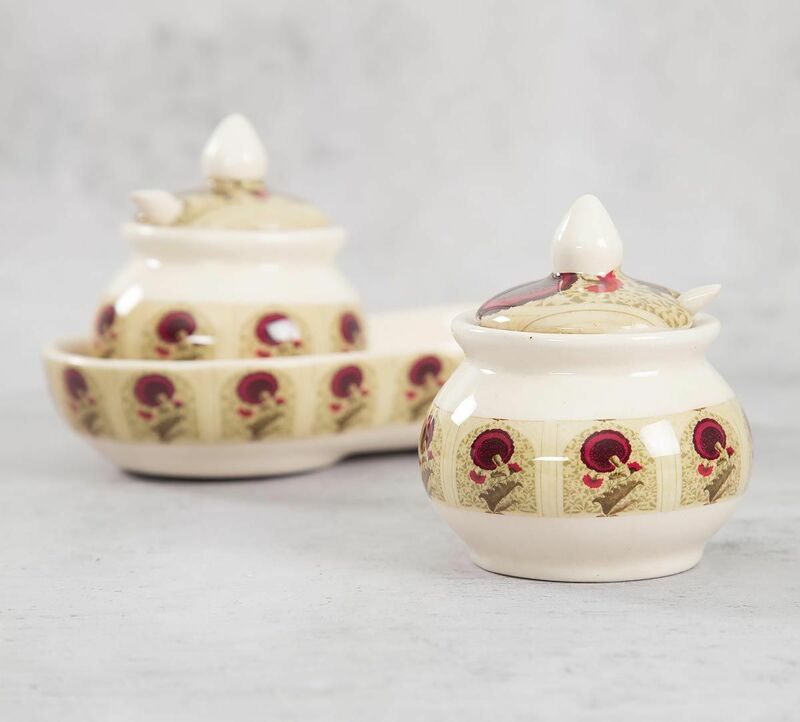 The Flower Regalia Ceramic Pickle Jar Set from the house of India Circus comes with a jar-holder tray and a lid. 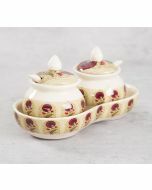 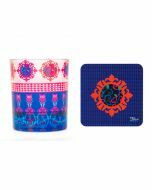 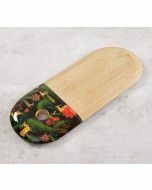 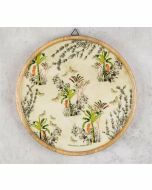 The design on this ceramic kitchen container set with tray displays a tiled repeat of an isolated flower print. 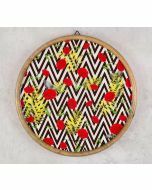 The fine honeycomb backdrop adds a fine detail to its overall outlook. 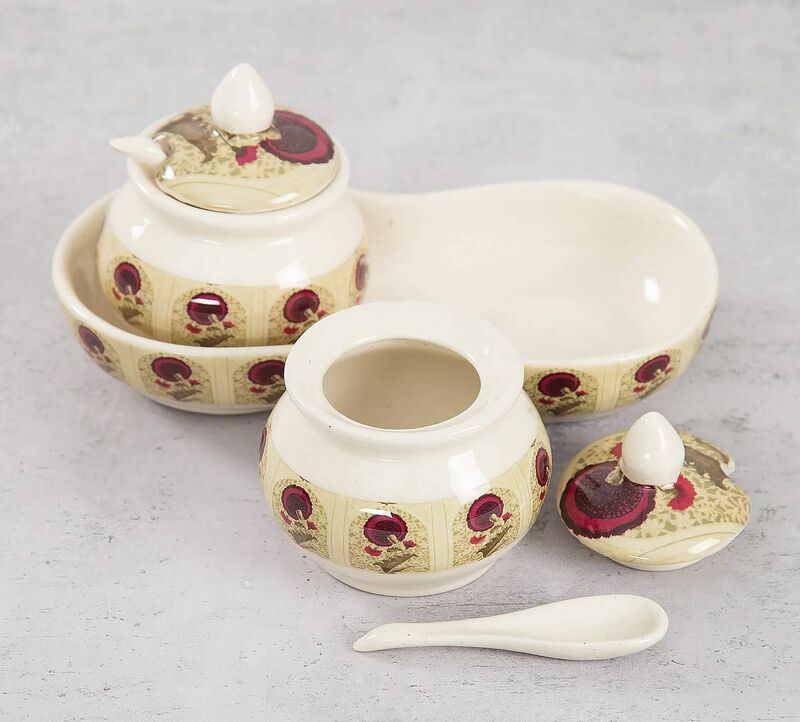 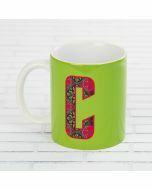 Browse through our limited range of ceramic pickle jar sets and ceramic crockery today!